Another day, another cleanser it seems. If you were to ask me what my favourite products to buy and try are, without a doubt the top three would be cleansers, masks and blush. And so today I bring to you a quick first impression slash early review of the Omorovicza Hydra Melting Cleanser. Just like the Sunday Riley Blue Moon, the Omorovicza Hydra Melting Cleanser just happened to pop up on my screen one day when I was on the hunt for something else. A few days later Sephora (U.S) launched their VIB Rouge sale and it was the very first thing added to my virtual cart. It’s certainly not the cheapest cleanser in the world, but managing to snag 20% off made the sting a little less so. 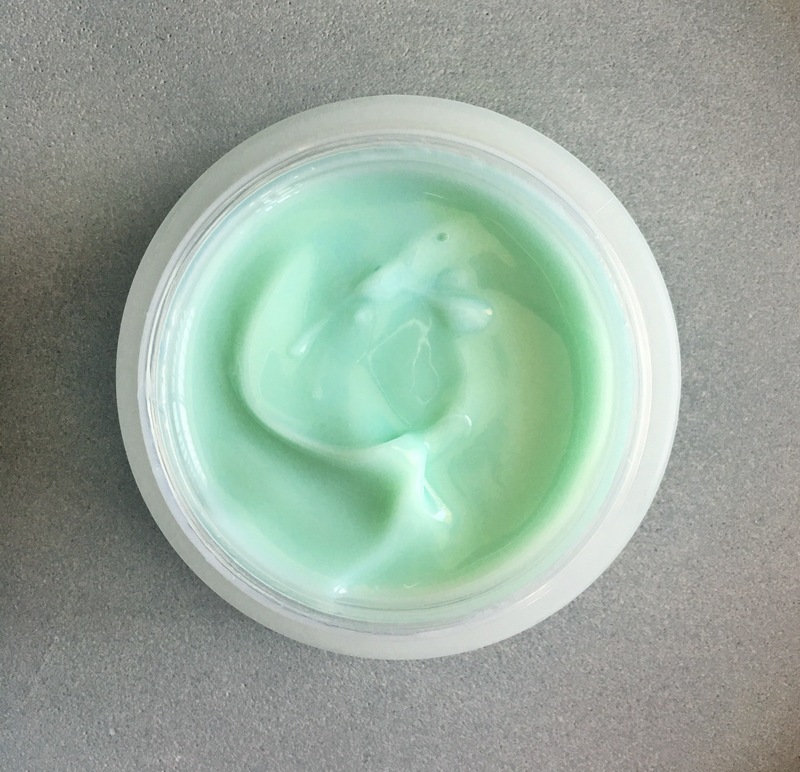 I have previously been more than impressed with the Omorovicza Thermal Cleansing balm (read about my thoughts on it here) so was curious to see if this one lived up to its predecessor. Let’s just say, that yes, yes indeed it does and then some! When my Sephora box arrived it was the very first thing I wanted to put on my face and I was not disappointed. The Omorovicza Hydra Melting Cleanser is described as a triple phase cleanser changing from a gel to an oil then finally to a milk when emulsified with a little water. Melting is just about the most perfect word to describe the feeling when this gel is massaged onto the face. Mallow flower extract hydrates and reduces inflammation for a more even skin tone. Sea buckthorn berry oil is rich in vitamins A, C and E and Omega 7, which purify and regenerate the skin. Essential oils of sage, rose geranium and Roman chamomile have an astringent and antiseptic effect as well as calming the senses. Omorovicza’s patented Hydro Mineral Transference™ system, leaves skin firmer, more supple and younger-looking. The scent is fresh but not overwhelming, just scented enough that inhaling while massaging contributes to the overall luxe experience. This cleanser will easily to the job of either first or second cleanse. It removes makeup beautifully (I do always use a separate eye makeup remover though) but for the price of this I don’t want to use it to remove my slap (I tried a few times for the sake of a review), I want it to cleanse my skin, so now opt to use it for a second cleanse. Once emulsified with a little water you can literally rinse this cleanser off without the need for a face cloth but that is a step that I refuse to give up. My face is left clean, soft, hydrated and calmed exactly as promised. 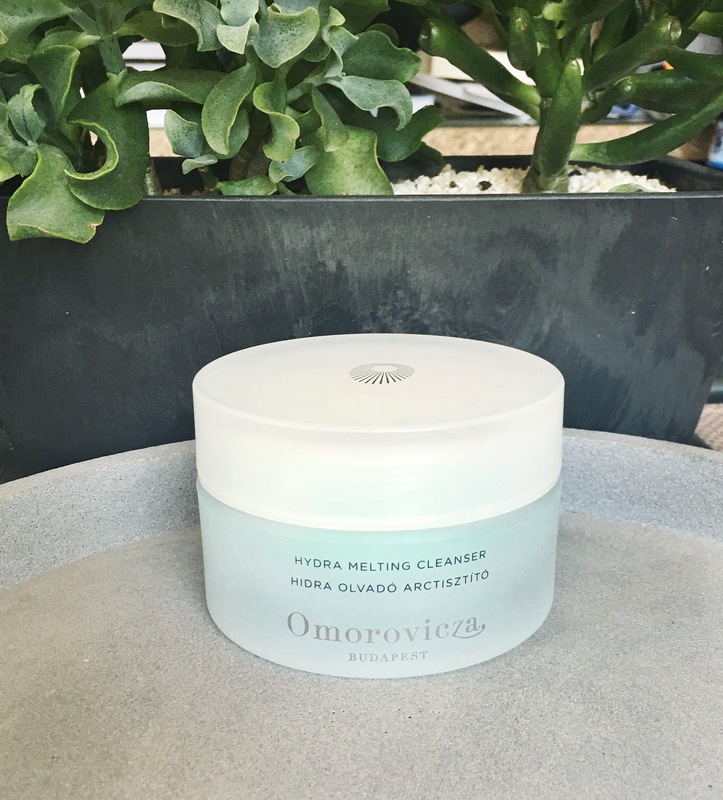 The Omorovicza Hydra Melting Cleanser is undoubtedly a luxury splurge and not a cleanser that I’m going to using everyday, well actually I’ll try to stop using it everyday….but damn this cleanser is so good I want to use it everyday, twice a day! 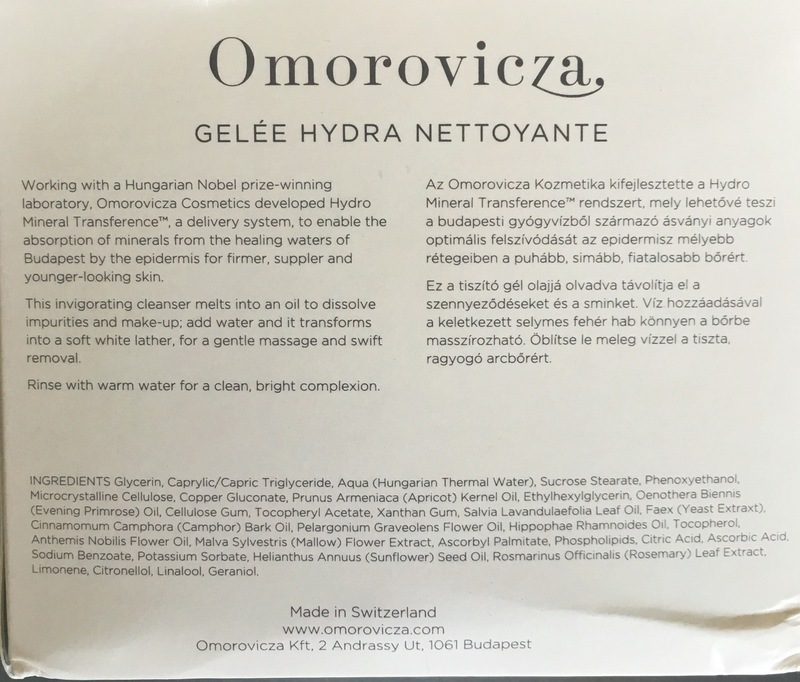 You can find the Omorovicza Hydra Melting Cleanser at the following retailers below and as I’ve said before, with products on the pricier end of the scale (actually you are better off to do it all the time) check the prices, currency conversion, shipping etc and make sure you are getting those discount codes via emails – Look Fantastic is especially good for offering discounts between 5% – 20% quite frequently. What’s your ultimate cleanser? Have you tried anything lately you’ve fallen in love with? Hi! I’m Blanche. So lovely to meet you!